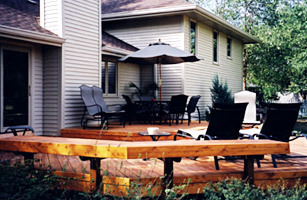 A nice deck or patio is a great place for family and friends to gather. More and more people are looking to utilize the outdoor space they have to entertain and spend time in comfortable natural surroundings. Utilizing the proper materials for outdoor construction our team of professionals will build the space you want that will last for years to come. 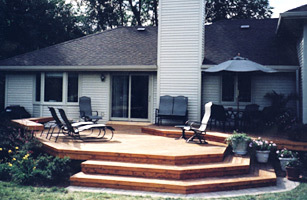 The House Fixers can build you the quality deck or patio you've always wanted for a reasonable price. Call us today for a free estimate.